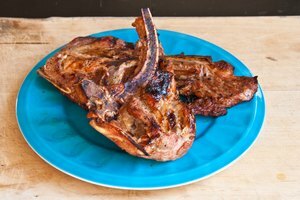 Grilling steak at home on your personal gas grill can be a real treat, but many are unsure about how to achieve that perfect steak, grilled to their desire. 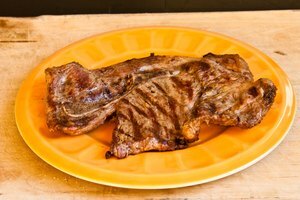 There are several levels of "doneness" when cooking steak, and a common request is for medium well. 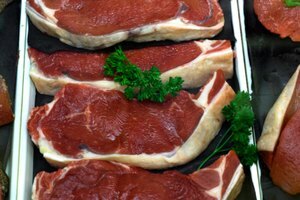 Steaks that are cooked to medium well should be light brown internally with no pink remaining. 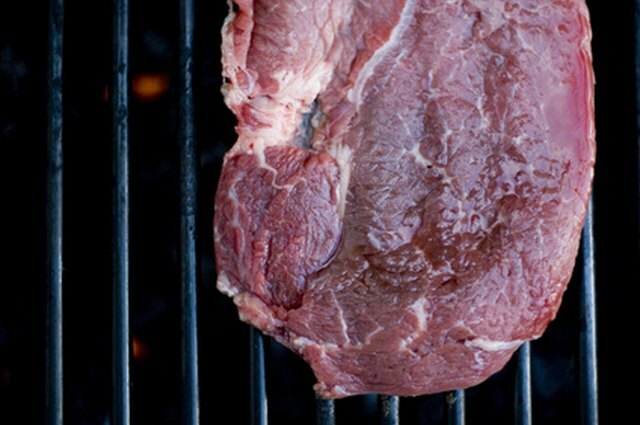 Although it may take you a couple of times to know exactly when your steaks are done, you could be grilling up perfect medium-well steaks in no time. Allow the steak to reach room temperature before grilling. Season your steak with desired seasonings or marinade. Light the grill on high. 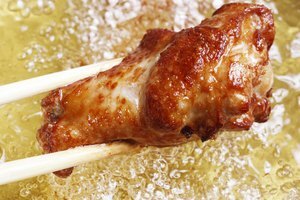 Oil the grill by dipping a paper towel in cooking oil and hold it with a pair of tongs, brush it over the surface of the grate. Place the steak on the hottest part of the grill and allow it to cook for about five minutes. Flip the steak and cook for another five minutes. Check for firmness. A medium-well steak should feel semi-firm and not at all squishy. Insert a meat thermometer tp check that the internal temperature is about 150 to 155 degrees F. There should be no pink anywhere. Flip the steak as little as possible so internal juices stay intact. 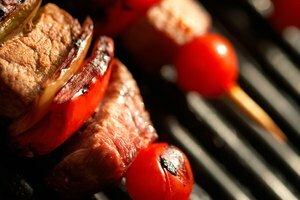 The Gas Grill Review: What are the Grill Times For Steak?